Wish I could be with my Cuban family members right now. The party has already started in Little Havana in Miami. Yes. Former [UNELECTED at the barrel of a gun] President of Cuba Fidel Castro is dead. 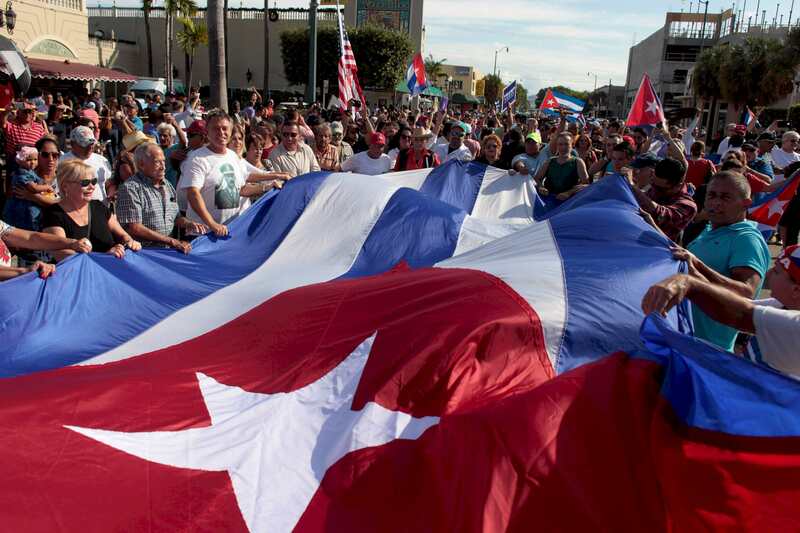 Like in a case of Chavez`s death, now exiles from Cuba celebrate death of Fidel Castro. Shame. 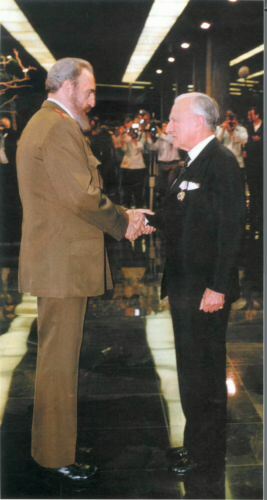 I wish to any Cuban call on this forum and write there own opinion about death of Fidel. Gone with Fidel that leaves his brother Raul ! The current administration in Washington every time worked for Hillary's campaign. Obama opened the US embassy on Cuba and sent ambassador to the Havana and whole world public saw that he is really "peacemaker", unlike "populist" Trump. By the way, I think that the President of the United States Trump should suspend sanctions against Cuba if Constitution allows that. Thousands of Cubans have died in front of Castroâ€™s infamous â€˜paredÃ³nâ€™ (the wall). There was no discrimination, as far as sending people to the firing squad was concerned. Young and old, black and white, rich and poor were sent to â€˜el paredÃ³nâ€™. Obama is an out of the closet communist. He loves his fellow travelers .. The USSR anti-religious campaign of 1928â€“1941 was a new phase of anti-religious persecution in the Soviet Union [ COMMUNISTS] following the anti-religious campaign of 1921â€“1928. The campaign began in 1929, with the drafting of new legislation that severely prohibited religious activities and called for a heightened attack on religion in order to further disseminate atheism. This had been preceded in 1928 at the fifteenth party congress, where Joseph Stalin criticized the party for failure to produce more active and persuasive anti-religious propaganda. This new phase coincided with the beginning of the forced mass collectivization of agriculture and the nationalization of the few remaining private enterprises. Donald Trump condemned the late Cuban leader Fidel Castro on an otherwise quiet Saturday for the president-elect. "The world marks the passing of a brutal dictator who oppressed his own people for nearly six decades," Trump said in a statement issued hours after Castro's death. "Fidel Castroâ€™s legacy is one of firing squads, theft, unimaginable suffering, poverty and the denial of fundamental human rights." Trump, who has pledged to roll back the Obama administration's diplomatic opening to Cuba, said the nation remains "a totalitarian island," but he hopes that Castro's passing will mark "a move away from the horrors endured for too long, and toward a future in which the wonderful Cuban people finally live in the freedom they so richly deserve." Obama is a out of the closet communist. He loves his fellow travelers ..
1) First, I do not believe in Wikipedia. P.S. If Obama is really Communist, he is puppet of NWO and nothing more. MIAMI â€” Within half an hour of the Cuban governmentâ€™s official announcement that former President Fidel Castro had died, Miamiâ€™s Little Havana teemed with life â€” and cheers. fireworks lit up the humid night sky. â€” were as common as a harsh word about Fidel Castro. "History will record and judge the enormous impact of this singular figure on the people and world around him," U.S. President Barack Obama said, extending "a hand of friendship" to Cuba. Venezuela's leftist President Nicolas Maduro urged "revolutionaries of the world" to follow Castro's legacy, while Pope Francis said he was grieving and praying for the repose of the professed atheist, whom he met in Cuba last year. 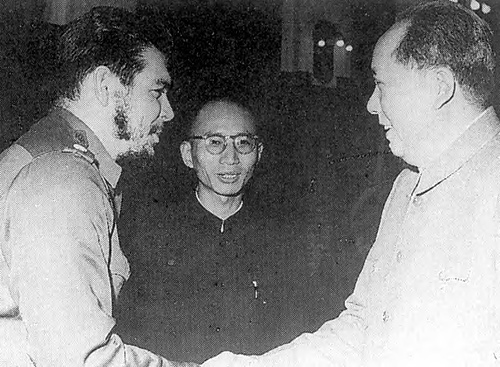 China's president, Xi Jinping, said "the Chinese people have lost a close comrade and a sincere friend". U.S. President-elect Donald Trump said on Twitter: "Fidel Castro is dead!," without elaborating. Scores of survivors of one of the Cold Warâ€™s strangest and least-known chapters â€” a vicious, bloody proxy war in Africa between rival Cuban armies supported by the United States and the Soviet Union â€” will gather Sunday in Miami for a reunion. More than 200 people, including family members, are expected at the event. Theyâ€™ll include not only CIA shadow warriors whoâ€™ve spent a lifetime keeping quiet about what they did, but more than a dozen members of hostage missionary families they rescued during the conflictâ€™s single most dramatic moment. The CIA sent about 120 Cuban exiles to fight communist-backed guerrillas during the political violence that wracked the country now known as the Democratic Republic of the Congo from 1962-67, says Frank R. VillafaÃ±a, author of Cold War in the Congo, virtually the only history of the role of Cubans in the conflict. Fidel Castro supplied about 200 soldiers to the other side. The rival Cuban forces discovered one anotherâ€™s presence during a CIA bombing raid on guerrilla positions when ground troops and pilots began cursing one another in Spanish. 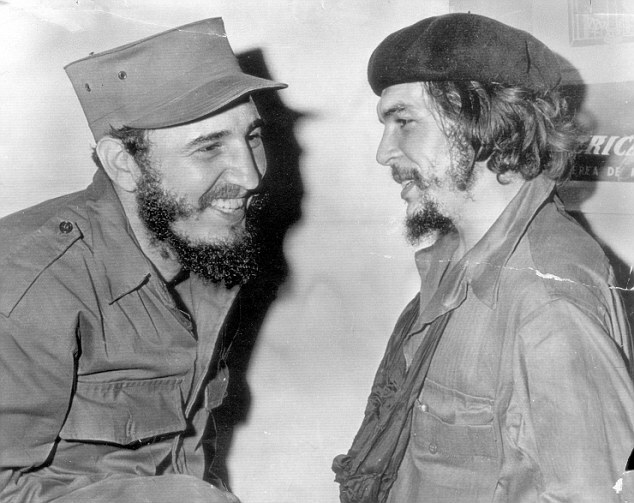 Later they would fight face to face, when CIA-backed Cubans in patrol boats attacked Castroâ€™s troops along Lake Tanganyikaâ€™s shores. Martel: Fidel Castro Is Dead. This Changes Nothing. 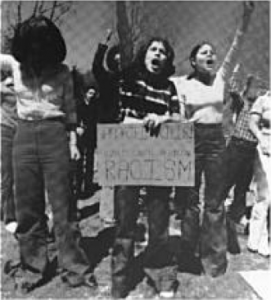 Fidel Castro presided over the cultural genocide of his own people â€“ or, at least, that was the goal, employing the firing squad liberally against â€œcounter-revolutionaries;â€� sending Jehovahâ€™s Witnesses, LGBT Cubans, and other undesirables to concentration camps; punishing those with visas out of the country (â€œmaggots,â€� the Communists affectionately called them) with agricultural â€œvolunteerâ€� work â€“ work that he, a well-off law student, had never dreamed of doing himself. The Cuban exile community in the United States is celebrating, expressing a manic joy filtered through the lens of collective PTSD any collective of refugees experiences. The pots and pans were out in force last night in front of Versailles, the beating heart of Miamiâ€™s Cuban community. Champagne flowed; fireworks of questionable legality blocked the traffic on Calle Ocho. RaÃºl Castro is in power now. I know this because he is the one ordering the beatings, arbitrary arrests, and torture of Christian women. Castro is the one pocketing 92 percent of the salaries of Cuban workers employed by foreign companies. He has maintained this system and exacerbated its brutality so much that 500 percent more people have risked their lives on the high seas to flee between 2011 and today (RaÃºl took over in 2008). Cubans would rather risk being eaten by sharks, shoot themselves with firearms, and drink bleach than live in a Cuba run by RaÃºl, not Fidel, Castro. Hours after Castroâ€™s death, the oppression has already begun: RaÃºl has announced nine days of forced â€œmourningâ€� for his brother. I believe everyone watched the movie "JFK". In one scene Joe Pesci sad that Fidel Castro was in CIA. More evidence that Communism is a total sham. Its role is to prevent genuine reform and impose tyranny in a feel-good disguise. April 19, 1961. p. 12. 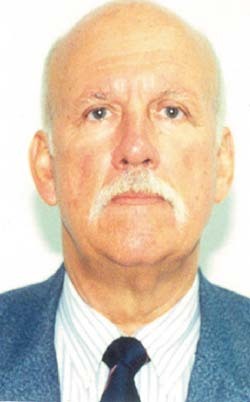 LONDON, April 18 (Reuters)--The Moscow radio reported at 6 P.M. (noon Eastern standard time) today that Allen W. Dulles, head of the United States Central Intelligence Agency, had arrived in Puerto Rico. The radio said he apparently "intends to command in person the aggressive actions against Cuba." Mr. Dulles, "who worked out the plans for armed intervention in Cuba," was accompanied by a group of top United States officers, the radio asserted. WASHINGTON, April 18 (UPI)--Allen W. Dulles, director of the Central Intelligence Agency, was seen leaving the White House, after conferring with the President, about noon today. Charles W. Bohlen, State Department expert on Soviet affairs, also was seen leaving the White House in the early afternoon. gee what would a communist say about Fidel? Oliver Stone comes out as a fellow traveler in "The Untold Story of the United States." Indispensable information here TahoeBlue; you've been at it all day, thank you. Yes the guy was a hero to no one except his fellow travelers. I'm saving this page forever and raising this glass to a better future for Cuba! 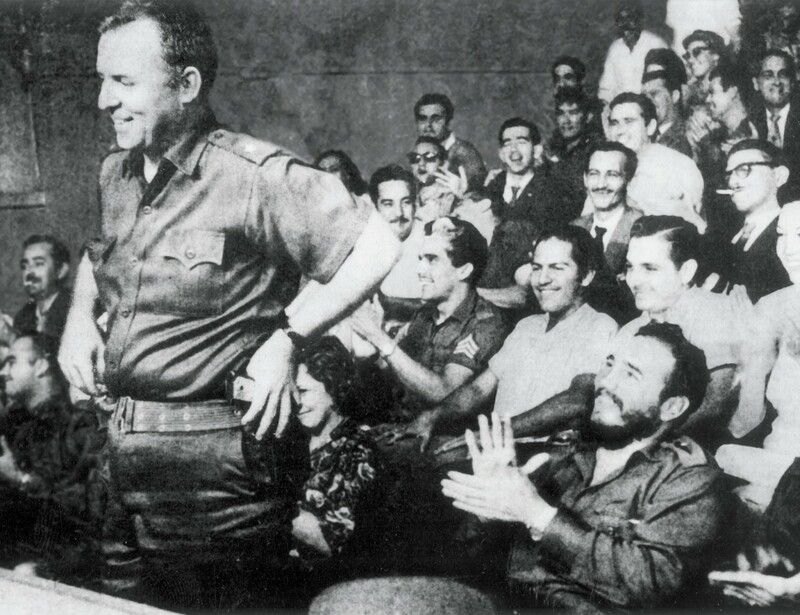 Cuban General Fulgenio Batista came to power in a military coup in 1953. In the same way it ousted from power Fidel`s communists in 1959. Fidel Castro is often portrayed as the â€œbenevolentâ€� dictator of Cuba, such portrayals are unarguably wrong. The evidence of his bloodthirsty and murderous nature is unequivocal and available for anyone who wants to know the truth. Unfortunately such evidence is rarely discussed by the news media and at schools. Thereâ€™s perhaps no more grizzly atrocity committed by Fidel Castro than the firing squads which he implemented. Beginning as a rebel, before he would eventually take power in Cuba, Fidel Castro used firing squad executions to enforce discipline, punish followers deemed disloyal or intimidate potential opposition. At the beginning of the Castro regime there was a reign of terror typical of revolutions in which the firing squad was used prominently but the executions continued for decades. 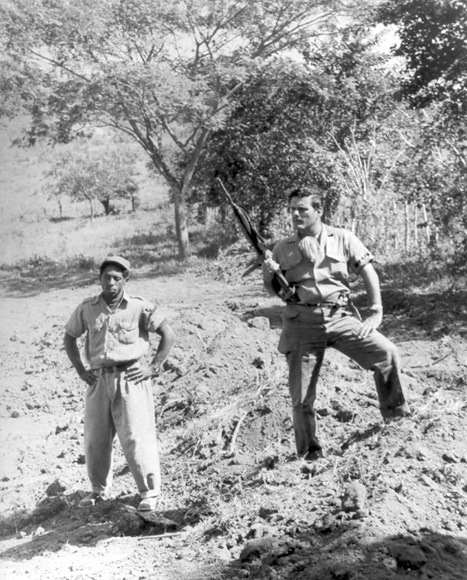 The Cuba Archive [ http://cubaarchive.org/home/index.php ] which documents deaths and disappearances resulting from Fidel Castroâ€™s Cuban revolution has documented 3,615 firing squad executions conducted by the Cuban state since Castro took over on January 1, 1959. In April 2003 Fidel Castroâ€™s government executed 3 men who hijacked a ferry boat in an attempt to escape Cuba. They were sentenced to death and killed by firing squad less than two weeks after the alleged crime was committed. During the mid 1960s Fidel Castroâ€™s regime in Cuba created a system of labor camps euphemistically called â€œMilitary Units in Aid of Production,â€� known better the Spanish acronym UMAP. By this time considerable opposition to the Cuban Revolution had developed and Castro, in order to maintain the stability of his rule, needed a mechanism whereby he could neutralize undesirables. Internment in a UMAP could be precipitated by any of the following actions: refusing to engage in â€œvolunteerâ€� work on behalf of the Revolution, being homosexual, being a Jehovahâ€™s Witness, being a Seventh Day Adventist, refusing collectivization. Additionally, among those also rounded up and sent to the UMAPs were members of the Catholic and Protestant clergy. In addition to forced labor, internees were forced to undergo ideological â€œre-education.â€� Beatings, malnourishment and death were common in the UMAPs. Now here is a nice bit of propaganda ... "fear of communism" ... No fear do not fear it we FIGHT IT!!! Here's another bit ... they just love castro ... now to be glorified and deified in death ..
Fidel Castro's 'True Destiny': His Decades-Long Struggle Against U.S. This was an awesome video watch; I think everyone should see this one. You know the NPR needs to be defunded; part of draining the swamp. 'If surviving assassination attempts were an Olympic event, I would win the gold medal' ( F. Castro ). How come Hitler kept escaping all assassination attempts? Fidel Castro was not Hitler. The 60th anniversary of the Peopleâ€™s Republic of China was commemorated this past October 1. On that historic day in 1949, Mao Zedong, as leader of the Communist Party of China, presided over the first parade of the Peopleâ€™s Army and the people of China in Tiananmen Square. The victorious soldiers bore the arms seized in combat from invaders, oligarchies and traitors to their homeland. He'll burn for his communist wickedness. Lybian Colonel Quadafi was not monster. "Stalin" smashed Nazism ( with help of Western Allies ). Concentration camp on one island called Goli otok ( Naked island ) for followers of "Stalin" and Russia in general. At a hearing last week in Salem, Oregon, local resident Manuel Martinez testified against gun-control measures. The Cuban-born Martinez spoke calmly but firmly about the dangers of gun control, incorporating his experience in Communist Cuba. Iâ€™ve been through it, Iâ€™ve been there. You people donâ€™t know what freedom is because you never lost it! You havenâ€™t been tortured, you havenâ€™t seen the assassinations, you havenâ€™t [seen] mothers begging for the lives of their sons not to be killed because [their sons] want to be free. And they killed the mothers and they killed the sons. Gun control does not protect anybody â€“ does not protect the citizens, does not protect the people. 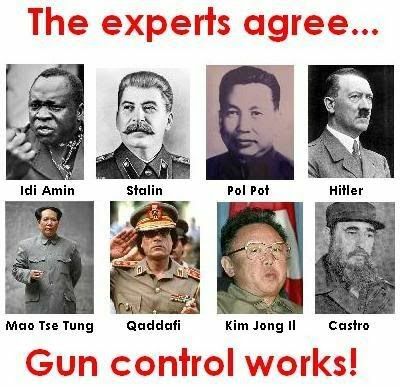 The only reason for gun control is for the government to protect [itself from] the citizens, so that the government canâ€¦ manipulate the people and subjugate them. Thatâ€™s what happened in Cubaâ€¦. Thessaloniki. Macedonian Press Agency, 18 November 2003. The first Orthodox Christian church dedicated to Saint Nikolaos, will open in Havana, Cuba on January 25, 2004, 44 years after the Cuban revolution in the presence of Ecumenical Patriarch Bartholomew and Cuban leader Fidel Castro. The construction of the church, which was founded on January 10, 2002 at a UNESCO property, was entirely funded by the Cuban government. Archimandrite Timotheos from the Metropolis of Panama, who is of Cuban origin, stated that the Mayor of Havana citing Fidel Castro's views had said that Havana in order to be a historic city should have an Orthodox church because Orthodoxy is the womb of Christianity. Father Timotheos also stated that the Orthodox Christian community in Cuba is very small and specifically, in Havana it numbers about a thousand members, but the eagerness of the Cuban people to learn more about the Greek civilization is great. He added that the love of the Cuban people for Greece and its civilization is being revealed by the museum with copies of ancient Greek findings in Havana. About those nukes in Cubaâ€¦. Range of the missiles that the Soviets were installing in Cuba. A number of working MRBMs (Medium Range Ballistic Missiles) had already been installed. All of this is a pretty sobering thing to contemplate, obviously. I mean, everybody knows that nuclear war in 1962 would have been, to put it mildly, bad. But thinking through how bad in very concrete terms makes it even more disturbing â€” it takes it from the realm of â€œgeneric existential threatâ€� to images of destroyed American cities. But thereâ€™s more. For many years now weâ€™ve known that in a certain sense, Kennedyâ€™s attempt at nuclear â€œquarantineâ€� failed in Cuba: the Soviets already had moved working nuclear weapons there. This is discussed a bit in Errol Morrisâ€™ Fog of War and Iâ€™ve always been a little surprised this hasnâ€™t been more talked about. Iâ€™d always imagined, though, that the number of Soviet nukes was low. I always imagined four or five. I mean, if they only had 42 ICBMs in the Soviet Union itself, how many nukes could they have put on the island before we noticed? I mean, wasnâ€™t the Cuban Missile Crisis supposed to be that great example of an Incredible Intelligence Coup in which our super-awesome spy planes tipped us off before things got too awful? Well, according to Stan, the total number of Soviet nuclear warheads on Cuba wasâ€¦ wait for itâ€¦ 158. One hundred and fifty eight nukes. On Cuba. During the Cuban Missile Crisis. Manned by scared Soviet troops and a whole lot of Cubans. Yeah. Let that one sink in. Now, to be fair, most of them were tactical nuclear warheads to be used against U.S. forces in case of invasion (which, by American estimates, would have cost 18,500 American casualties, even if nukes didnâ€™t go flying), and â€œonlyâ€� 95 to 100 of those were ready to be used. â€œOnly.â€� But six to eight SS-4 medium-range ballistic missiles were also there, and also at â€œoperationalâ€� status. Those SS-4s could have reached as far north as Washington, D.C., with explosive yields of a little over a megaton each. Whatâ€™s shocking about this is that apparently the Americans had no clue. They knew there might be some tactical nukes in Cuba, but chose to ignore the fact. They didnâ€™t know there were strategic weapons there and ready to go. My question to Stan and David was, why didnâ€™t Khrushchev say, in one of his drunken telegraphs, â€œguys, youâ€™re too late, you canâ€™t do anything about it?â€� Their response (augmented as well by Svetlana and Bill Burr) was believable: Khrushchev was too afraid of nuclear war, and the Cuba missile base was really only a fraction of what it was meant to be at that point. The Ladies in White dissident group decided to avoid creating tensions this week. "We're not going to march today so that the government does not take it as a provocation and so that they can pay their tributes," the group's leader, Berta Soler, said on Sunday. "We respect the mourning of others and will not celebrate the death of any human being." tyrant "Marshal Tito" was Fidel Castro. Even, Fascist dictator in Chile Gen. Pinochet ordered that their state flags lowered to half-mast.